Feel confident and prepared! With access to official past paper questions that vary each time you try them, and the ability to practise by topic, you’ll be ready for exams. Explore exam prep. You can excel at Mathematics and Physical Sciences! Master concepts at your own pace, while we guide you with full solutions and a clear progress map. Explore practice. Thanks Siyavula. Now I’m ready for my exam. Hi! Siyavula. I wanted to thank you for the help you have given me. You really changed my performance in class. I needed it for my other assignments. I can’t thank you enough. It also helped my friends to do better because I recommended Siyavula to them. I "LOVE" this site. I’m really making progress! I would like to thank Siyavula for the opportunity it has given us as students. What you have done is really helping me and surely a lot of [other] people too. What I like about using Siyavula regularly is that it keeps the boys’ process skills current and front of mind. It’s a platform that allows for constant revision. Are the textbooks only free if I buy a subscription? No. At Siyavula we believe every learner deserves a great education, so we make all our Maths and Science textbooks available free of charge. I don’t have a credit card. Can I still buy a subscription? Yes, you can buy our annual subscription package via Instant EFT. We don’t want any child to be left behind! Do you offer a rewards programme or special pricing? 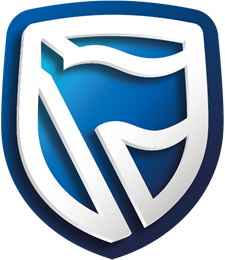 Siyavula has partnered with Standard Bank, who offer their clients a loyalty discount. If you’re a Standard Bank client, you could receive a discount of up to 50%. Learn more. Is Siyavula based on the school curriculum? All learning material throughout the Siyavula platform is carefully generated according to the latest local curriculum. In South Africa, we have aligned our structure to follow the CAPS curriculum and also cover the IEB curriculum content. How does Siyavula guide a child’s learning? Because learners are all different, it’s best if they can study at their own pace. Siyavula’s sophisticated system makes sure that learners receive questions that meet their individual skill level. As their understanding increases, questions become more difficult. I have tried other learning services. What makes Siyavula different? Learners need enough different examples to really benefit from practice. Siyavula’s questions are virtually unlimited, with varying levels of difficulty, so learners can master all concepts. Because learners receive step-by-step solutions to each question, they can see immediately where they’re going wrong. I would like to speak to a representative before making my decision. Siyavula representatives are available via email, contact form and a live chat button is present if you look to the bottom-right corner of the browser window. We would be happy to answer any questions you might have. Can I cancel my practice subscription at any time? Yes, you can easily cancel your subscription. Simply select My Account in the menu, when you’re logged into Siyavula. At the bottom of the My Account page is the option to delete the account. Can I register more than one child at a time? Children have to be registered separately. Because we report on the progress of each individual learner, every child must have their own account, and so they must be registered individually. Already have a Siyavula access code?